In many cases, it is likely that consumers doesn’t have adequate or exact knowledge of the products when making purchases. This is due to either consumers’ ignorance or producers’ unfair practices, which undoubtedly put consumer’ rights at risk. Thus the need of consumer protection. The term Consumer Protection is quite a broad term, and most evidently a set of regulations and legal framework are often set up to protect consumers’ right and welfare. Consumer protection laws are at the center of this framework. These consumer protection laws are designed to ensure fair competition and the free flow of truthful information in the marketplace. The laws are designed to prevent businesses that engage in fraud or specified unfair practices from gaining an advantage over competitors and may provide additional protection for the weak and those unable to take care of themselves. This is a 2-year project (6/2008-6/2010) implemented by CUTS HRC in association with the Vietnam Standards and Consumers Association (VINASTAS) with the support of The Ford Foundation – Office for Vietnam and Thailand. The overall goal of this project is to promote a healthy and vibrant consumer culture in Vietnam, which ensures the meeting, in the long term, of the seven legitimate needs of consumers as set out in the United Nations’ Guidelines for Consumer Protection. CUTS HRC, in partnership with the Vietnamese Standards and Consumer Protection Association (VINASTAS), has implemented the project titled “Holding Broadband Service Providers to Account”, a project of Consumers International (CI) funded by Ford Foundation. The project period is mid-2011 to early 2013. The project aims to empower consumer organisations around the world to demand more equitable andaccessible broadband service offerings, respecting consumers’ rights and broader human rights, as a necessary condition of achieving a socially-inclusive information society. The project is funded by Consumers International (CI) under the Anne Fransen Fund. The project period is March-December 2014. 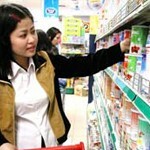 The overarching goal of the project is to ensure better protection of consumer interests in Vietnam by means of awareness raising and advocacy vis-a-vis the right to safety, one of the eight fundamental consumer rights outlined by the United Nations’ Guidelines on Consumer Protection, taking the specific example of foodstuff (vegetables and fruits) in the country.